If there’s one thing New Yorker’s won’t stand for, it’s a lack of benches. After unveiling the 1,500th addition to its CityBench program, the New York City Department of Transportation (NYC DOT) has revealed that a federal award package of $1.5 million will be used to develop the CityBench scheme further. 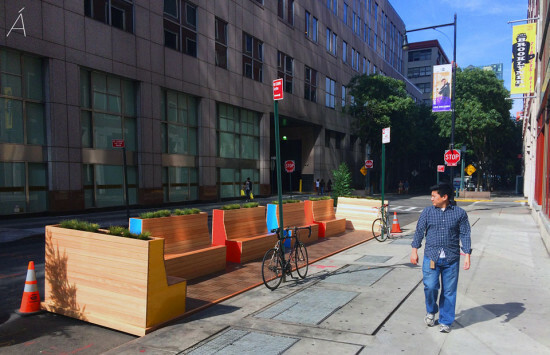 In addition to this The Downtown Brooklyn Partnership has initiated a colorful “Street Seats” program as seating projects gain popularity in the city. Over three years ago, an initial $3 million funded the CityBench initiative which pledged to place 1,000 new seats in Manhattan, Brooklyn, Queens, the Bronx, and Staten Island. Now, according to NYC.gov, a further 600 benches have been promised by 2017. The program aims to bring seating to areas where there are few areas of rest aiding the elderly and disabled, with hot spots being around bus stops and areas with high concentrations of senior citizens. Since the scheme started in 2011, citizens have been able to request benches if they choose. Requests can be made via a website form here. So far over 110 senior citizens have made requests and the program has contributed significantly in aiding the pedestrianization of New York City’s streets. As a result, distances that would once upon a time be deemed too far to walk by some residents are now possible with the aid of sufficient public seating. Behind the design aspect of the scheme is NYC-based Ignacio Ciocchini who is Director of Design for Chelsea Improvement Company. Focusing on durability and withdrawing the need for constant maintenance, backless and backed styles provide comfortable resting spaces. Made from domestic steel and manufactured in the USA, they are designed to meet the rigorous demands of New York City’s streets and are coordinated with the look of existing street furniture. For the people of Brooklyn however, the notion of sidewalk seating is going a step further. 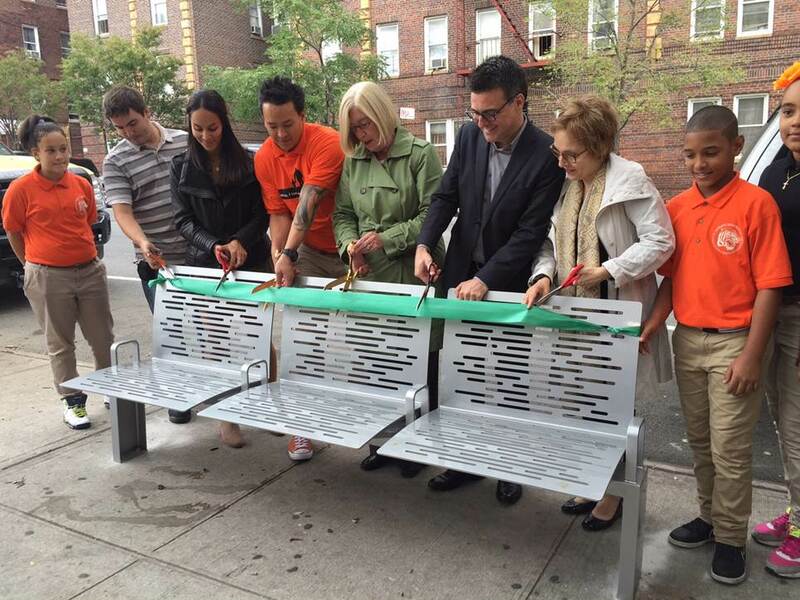 The Downtown Brooklyn Partnership, a non-profit local development organization has begun working with designers Studio Fantástica to produce “Street Seats.” These more colorful additions to Brooklyn’s sidewalks began popping up in 2014 and have been a huge hit. 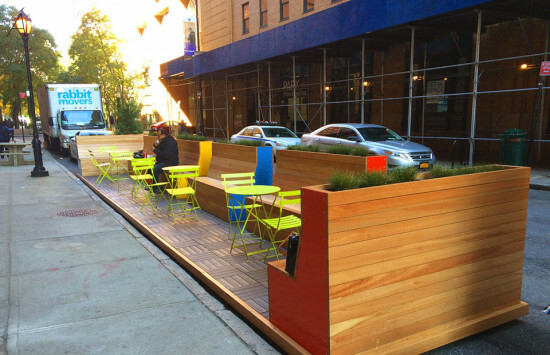 So much so that NYC DOT has started working with the Studio Fantástica to establish a Street Seats design standard to be used throughout the city. The first example was officially unveiled by DOT on September 11 in East New York and further installments are planned in other boroughs.